The convivial region has a reference scale of 32,000 km2. Nyikina Country cover an area of 26,000 km2 – that is, a day’s walk or 60-minute ride from the center, with a radius of less than 100 km. 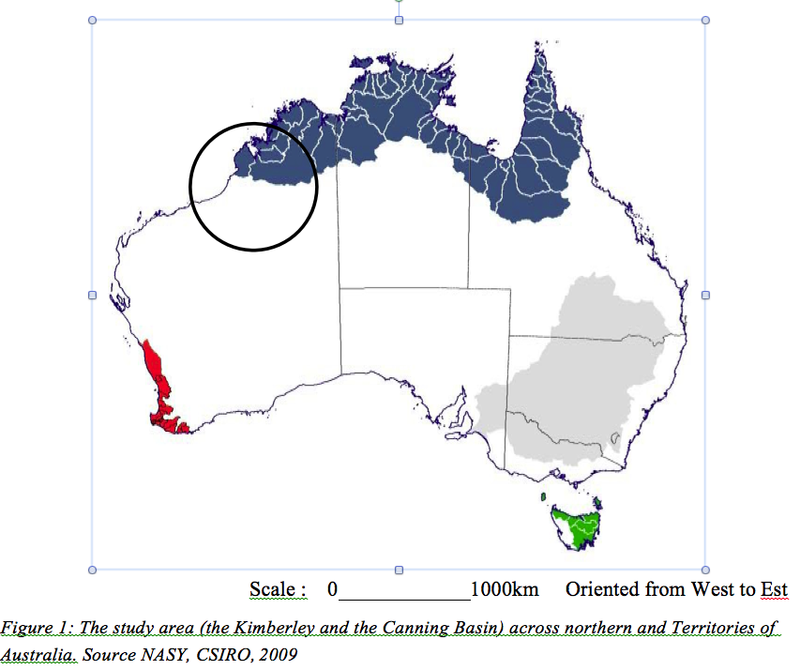 The radius of 25 kms is the most frequent minimum size of the cattle stations in the Kimberley region. 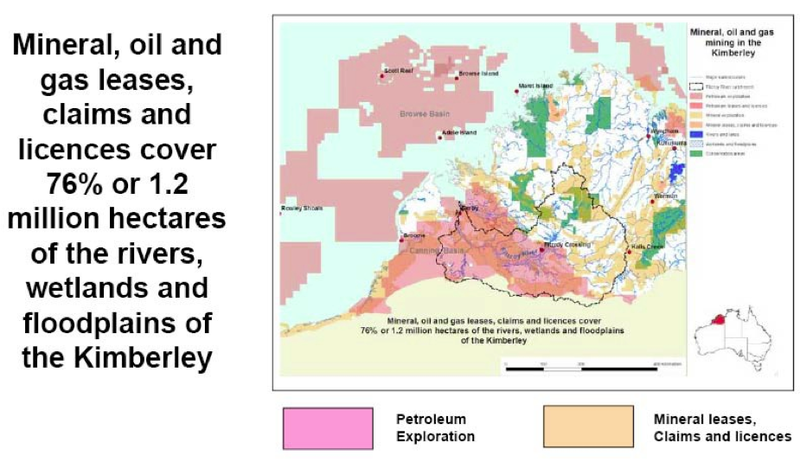 1.3 million km2, this region includes all the watersheds of the Kimberley region in the west to the east coast of Cape York, including the lands south of Broome, in Western Australia (WA) through the Northern Territory (NT) to south of Innisfail in Queensland (QLD). The area extends inland south of Fitzroy Crossing, Daly Waters, Mount Isa and Hughenden. The region includes some of the largest river systems in Australia such as – depending on the size of the area – the Flinders, Roper, Victoria and Fitzroy rivers and – depending on the volume – the Nicholson and Mitchell Rivers (NGIS Australia, 2004). 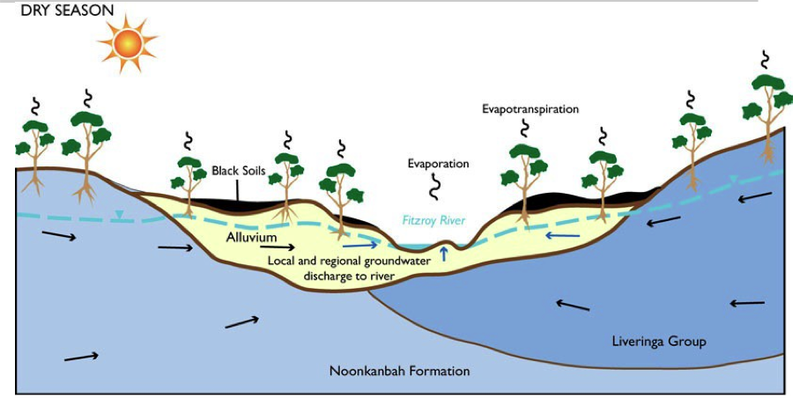 These Northern rivers and groundwater systems make up 70% of the fresh water in Australia resources (Land and Water in Australia, 2005), and it is in these areas that the majority (65%) of runoff waters occurs (Chartres and Williams, 2006, Australian State Environment Committee, 2006). In comparison, the southern parts of the Australia receive only 6.1% of the total runoff waters of the country (Chartres and Williams, 2006). From these figures, it appears that the North is ‘rich’ in water resources, but these aggregated statistics tend to hide the fact that there is very little perennial water in this area. Australian river system’s flow regimes are among the most variable in the world (Puckridge et al. 1998, McMahon, 1992). 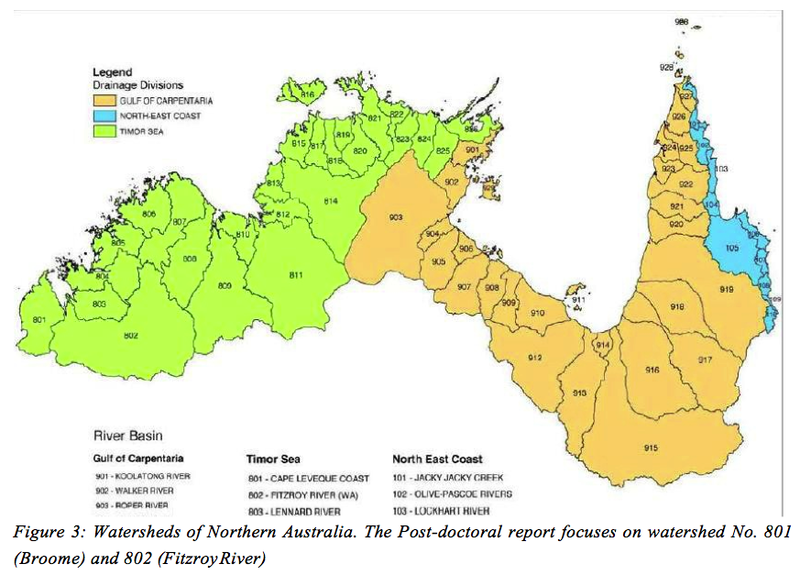 In northern Australia most of this extreme variability is due to the fact that many regions receive no rain at all for 6-9 months each year during the dry winter. Few northern rivers flow all year round, and most are just dry beds for long periods of time, such as. Sandy Creek, for instance. Frequent flooding occurs, sometimes major flooding (Kennard et al., 2010), mostly during the monsoonal ‘wet season’. Where perennial streams exist, they are often fed by groundwater from aquifers. Such is the case with the Daly (NT), Gregory (QLD) and Jardine Rivers (QLD) (Commonwealth Scientific and Industrial Research Organisation (CSIRO), 2009). 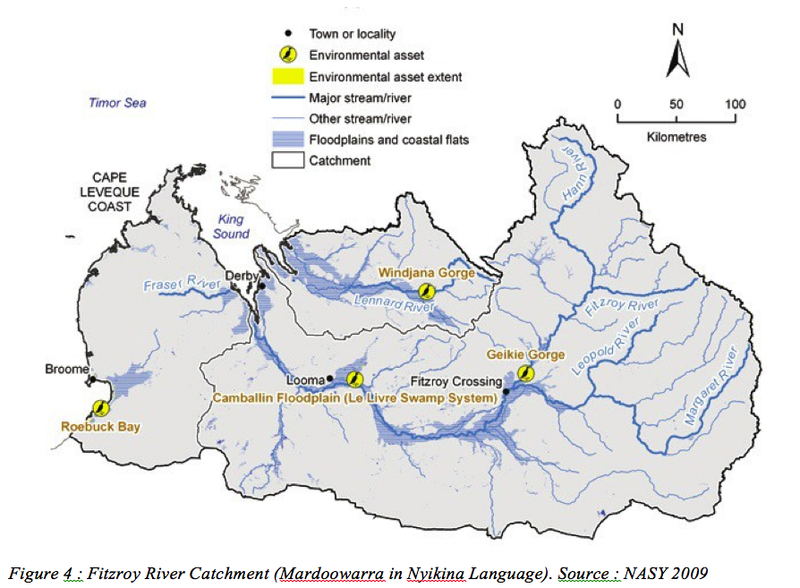 The watershed of the Fitzroy River (Mardoowarra in the indigenous Nyikina language) covers 98,000 km2, which is comparable to the watershed basin of the French Rhone River or half of the French watershed basin of the Rhine River (or even 3 times that of the Meuse in France). 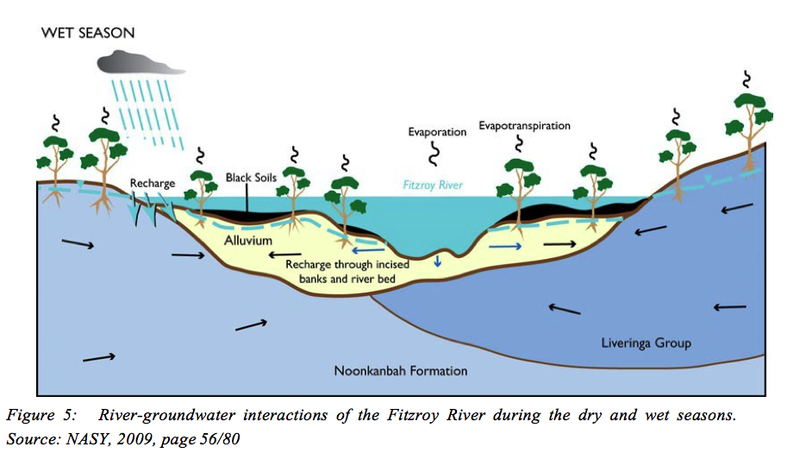 All of the studies emphasize the strong link between the groundwater of the Canning Basin as a whole and the alluvial groundwater of the Fitzroy River, according to mechanisms about which we do not know much. A tentative schematization has nevertheless been drawn, see the following two figures. Although these mechanisms have been identified, they have not been sufficiently studied scientifically. 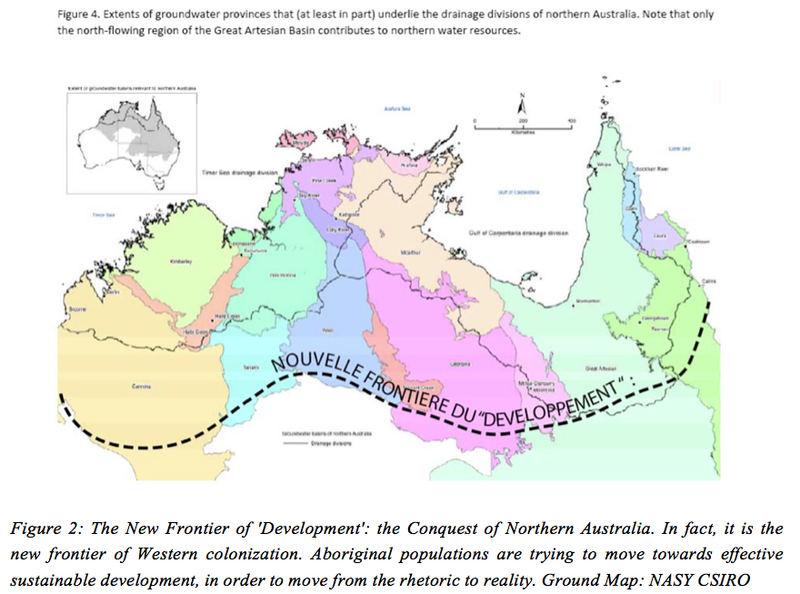 There is therefore a need for a study of the whole of Fitzroy River Valley and the Super Canning Basin. 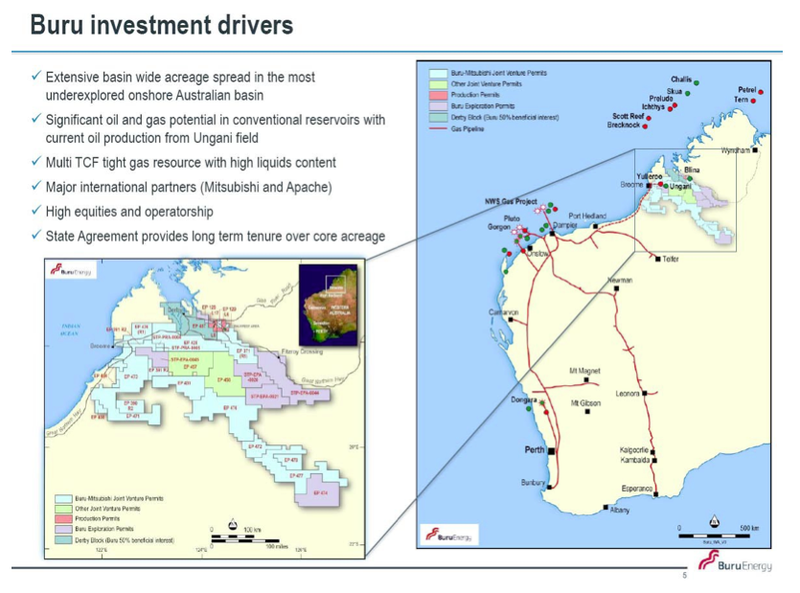 Studies done by universities raise substantive issues such as Peter Cook’s study about underground waters in the Fitzroy Valley, which highlighted the links between underground water and surface water, and advised that additional studies should be carried out before implementing any industrial or mining investment in the region. (see Annex Fitzroy). 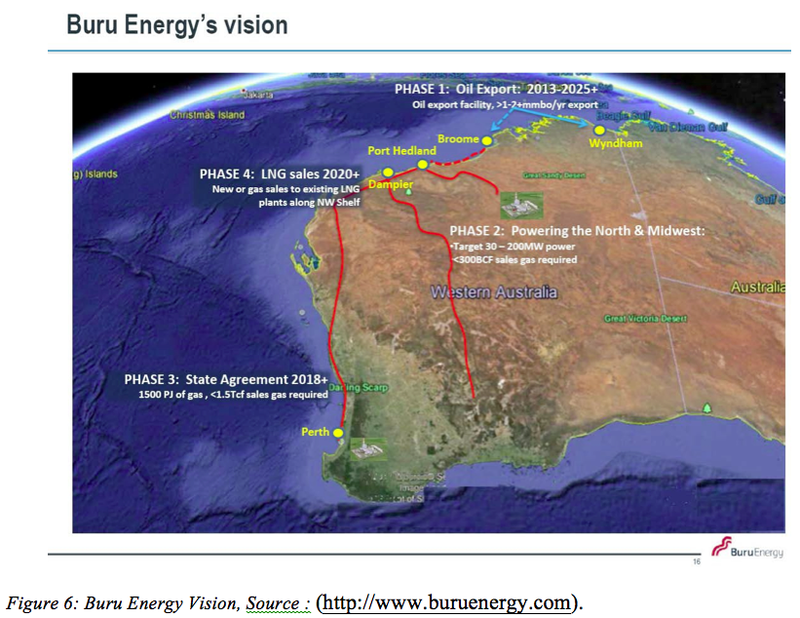 Figure 6: Buru Energy Vision, Source : (http://www.buruenergy.com). 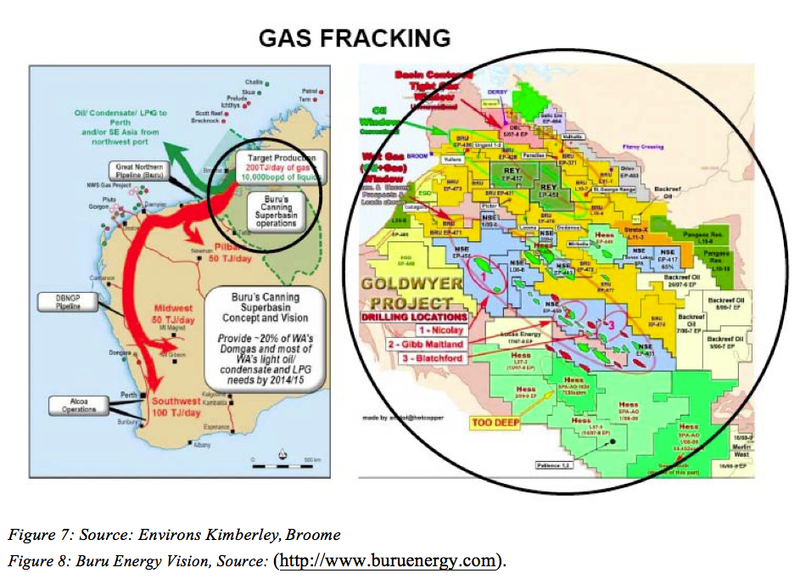 Figure 8: Buru Energy Vision, Source: (http://www.buruenergy.com). 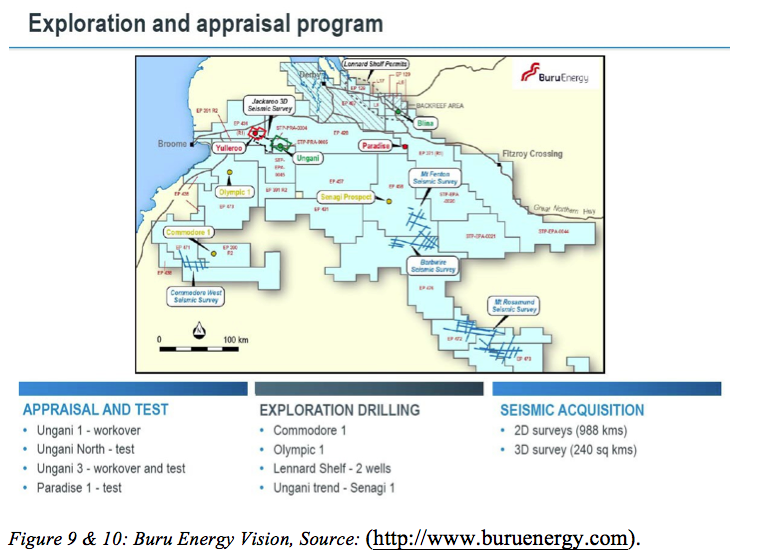 Figure 9 & 10: Buru Energy Vision, Source: (http://www.buruenergy.com). 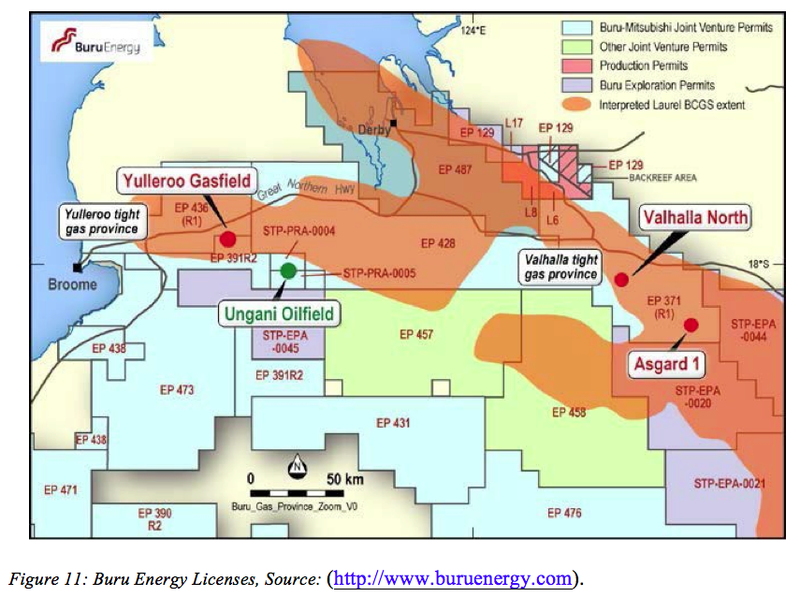 Figure 11: Buru Energy Licenses, Source: (http://www.buruenergy.com).